Nothing is good enough when you need to present a project to your client. But there is a surprisingly simple method for interactive presentation of 3D CAD projects (models) which gives a quite clear vision even to non-professionals - panoramas. Interactive 360° panoramas allow to look around, up and down, zoom in to details and dolly out for a general view. You even don't need any software to create such panoramatic images. 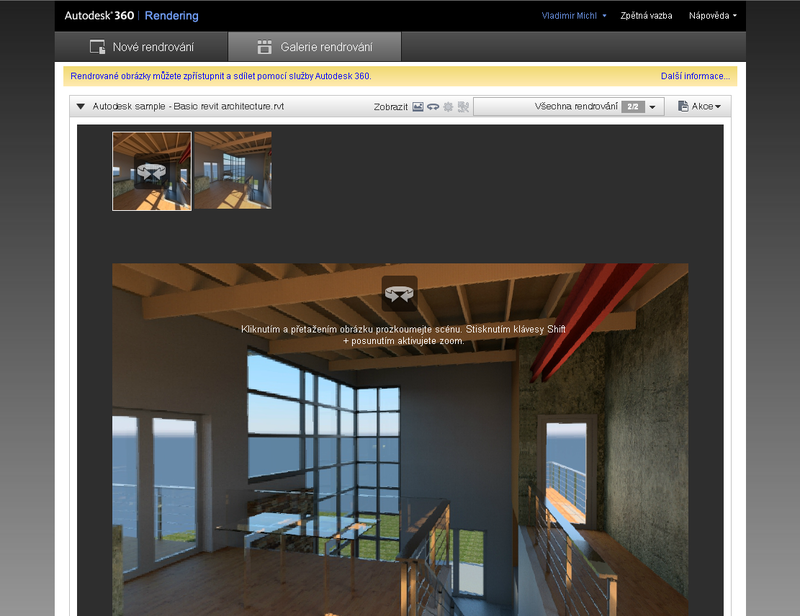 Photorealistic renderings of interiors and exteriors in your 3D projects from AutoCAD or Revit can be prepared in the cloud application Autodesk 360 Rendering, a part of "Autodesk 360" web cloud services. 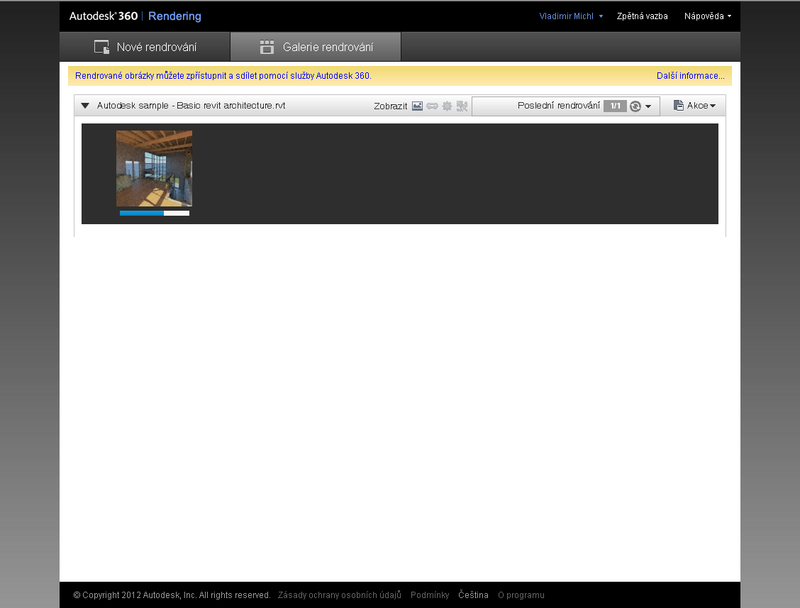 Just login to your Autodesk account and upload your DWG or RVT project file (with possible additional materials and textures) to the "360 Rendering" service. 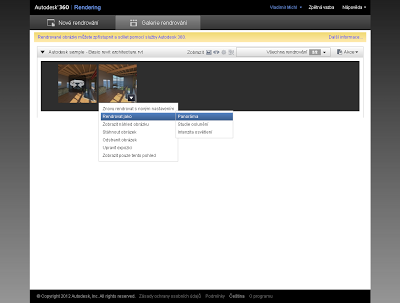 Then choose the camera view, enter the rendering quality parameters and let the Autodesk cloud servers do the work for you. The resulting rendering will appear in your private gallery window or you will receive an e-mail notification when your rendering job sequence is completed.